SS 410S Grade is a non-hardening modification of Type 410. Control of the chemistry balance minimizes austenite formation at high temperatures, restricting the alloy’s ability to harden. The material remains soft and ductile even when the material is rapidly cooled from above the critical temperature. This low hardening characteristic helps to prevent cracking when the steel is welded or exposed to high temperatures. The alloy is ferritic in the annealed condition and ferromagnetic. Aesteiron Steel Private Limited incepted in the year 2007 is engaged in exporting and importing a wide range of industrial products for various purposes for costumers across the globe. Our range of products is fabricated from well-known dealers of the industry that are made under the guidance of expert professions by using high grade quality material. 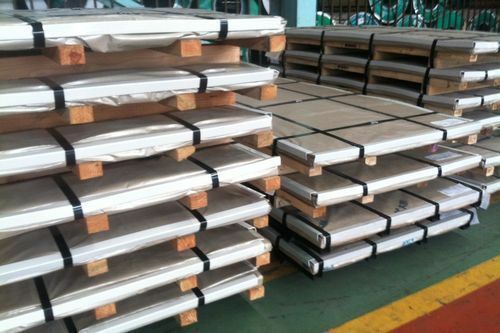 We offer various products that include Alloy steel SA 387-78, Boiler and Pressure Vessel Steel Plates, Mild Structural Steel Plates, Corrosion Resistant Steel Plates (HSLA), Wear Resistant Steel Plates, High Strength Steel Plates, Construction Alloys, Stainless Steel Plates and Duplex Steel Pipes etc. These products are available in various specifications and find their application in various constructions. Under the supervision of our mentor, Mr. Dilip Chandan, we are able to cater the industrial products according to the huge demands of our clients with in specified time. He has vast industrial experience and has ability to understand the needs of the clients. His dedication, commitment and support made us market leaders in the industry. We also have a team of skilled professionals who help us to meet the urgent requirement of customers within a specified time structure.